For more than 30 years, Dr. Stephen Hudis and Dr. Greg Huges have been working to help people experience the benefits of a beautiful smile and the ability to maintain a higher level of oral health. They attend twice the amount of required continuing education so they can serve their patients better by learning the latest trends and advances in prosthodontics. The only board-certified prosthodontist in the Princeton area, Dr. Hudis has undergone rigorous education, training, and testing in all aspects of his specialty. Dr. Hudis has been teaching graduate dentists at New York University and The University of Pennsylvania for more than 15 years. He enjoys giving back to the next generations of dental professionals. As well as being a Diplomate of the American Board of Prosthodontists, Dr. Hudis is also a Fellow in the American College of Prosthodontists, the Greater New York Academy of Prosthodontics, the International College of Dentists, the Northeastern Gnathological Society, and the American College of Dentists. We are living longer and more productive lives, and prosthodontists are achieving remarkable success in treating patients who need dentures, dental implants, and teeth whitening, as well as patients who have suffered traumatic injuries or need complex restorations. Our team’s skill and dedication make these new and exciting advances possible. Everything we do at our practice is designed to make our patients feel better and more confident about their smiles and their dental health. We recognize that each patient has different needs and concerns, which is why we take the time to give you the personalized attention you deserve. 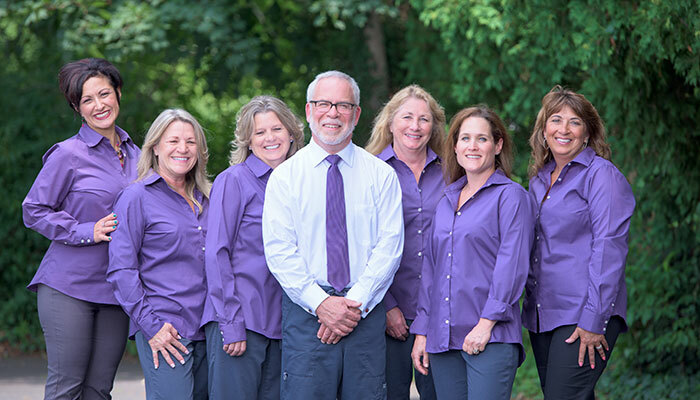 Our team of staff members help set us apart from other practices with their many years of experience and dedication to make sure you feel comfortable, welcome, and well taken care of when you visit our practice. We understand you have a busy, active lifestyle, and we strive to be as accommodating as possible when scheduling appointments. We keep to our schedule so you can keep to yours!